Many people start saving up for their weddings years in advance. For some reason, many people think that you have to spend a lot of money on your wedding in order for it to be nice. But the happiest day of your life does not have to push you into debt for the rest of your life. In fact, it has become increasingly popular to throw weddings on smaller budgets, and people everywhere are making the choice to save money on venues, food, and wedding dress alterations. Here are some tips on how to create your dream wedding without breaking the bank. As a rule of thumb, do not add anyone on your guest list who you could see yourself getting married without. Chances are that your old college roommate who you haven’t spoken to in eight years is not worth the money that it will take to save him a spot at the wedding. Most of the budget for weddings is for the venue. While it can seem tempting to spring for a fancy ballroom or church for your ceremony and reception, it is probably best to do a ceremony/reception at home or somewhere outdoors—not to mention that you have full control over how you decorate your home or backyard. One of the biggest wastes of money is the flowers that many people order for their weddings. Not only will these flowers die very quickly, but they are also very expensive to order. If you insist on keeping the real flowers in your wedding, keep them in small quantities. If you are open to fake flowers, these can be a great opportunity to save a little money on something you’ll get to keep forever. While it may have always been your dream to feel like a guest on “Say Yes to the Dress”, it is a lot better for your wallet to find a cheaper, but still beautiful, alternative to your dream ball gown. Shopping off the rack allows you to find a dream gown and only pay for alterations, which can impact your budget greatly. While salt and pepper shakers and new mixers are great, a lot of family members may have more wedding effective talents that they could gift you. For example, if one of your guests is a photographer, ask them to take the pictures while they are enjoying the wedding. You can also ask that your guests give you money that you can put towards your wedding and honeymoon instead of gifts from a registry. One of the biggest reception expenses is the cost of alcohol at the reception. The best bet for a wedding on a budget is to stock the bar yourself. Sticking to things like beer and wine is a lot cheaper, and it will allow you to hire less expensive help in bartending. If you are having a wedding, it does not need to cost an arm and a leg in order to be special. It is special enough since it is the day that you will be married to the love of your life, so do not stress about spending all your money to make your wedding perfect. 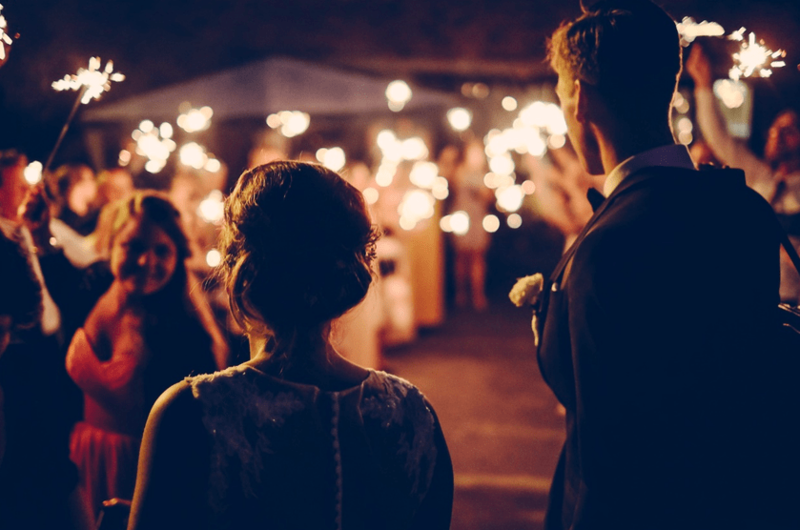 With these tips on how to throw a great wedding on a budget, you will be able to throw a ceremony and reception that is sure to wow your guests!